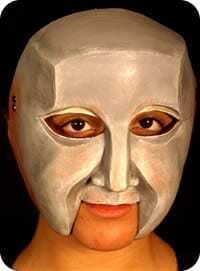 The Boy mask is the male mask of tender, naïve and playful youth. This character exists in the tragedy to provoke a profound feeling of loss when it is gone from the world. 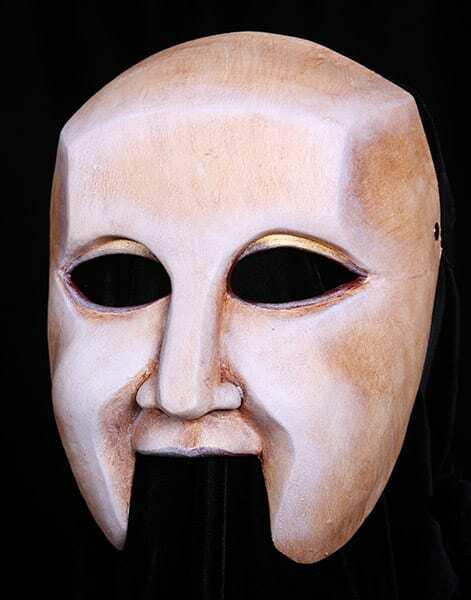 Add this mask to a collection of masks for schools, colleges, universities and professional use. It is durable, easily cleaned and has an adjustable strap. Custom paint treatments are available upon request.